Over 1,000 species of Marine animals can cause injuries to humans. 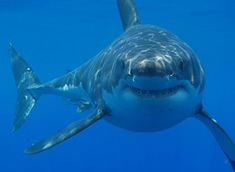 Bites are associated with sharks, barracuda, and moray eels. There are thirty-two shark species known to attack humans but only five show consistency: the Great White Shark, Tiger, Bull Shark and Oceanic White Tip. However, in an average year less than one-hundred people are attacked by sharks. Many Marine species can cause contact irritation. Fire sponges and red beard sponge are most common. 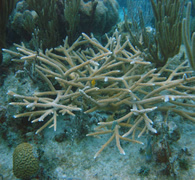 The sting from fire coral is caused by an injection of a water-soluble proteinaceous toxin. 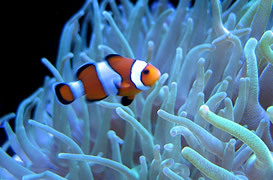 Sea Anemones, corals, jellyfish and nudibranchs all can cause injury via a stinging apparatus called the nematocyte. Treatment includes warm water immersion, vinegar application, then application of a drying powder such as lower or talcum powder and scraping removal of the nematocytes with a sharp knife. Sea Urchin and Stingray can also cause painful puncture injuries. Eating bad seafood can be an enormous health risk.